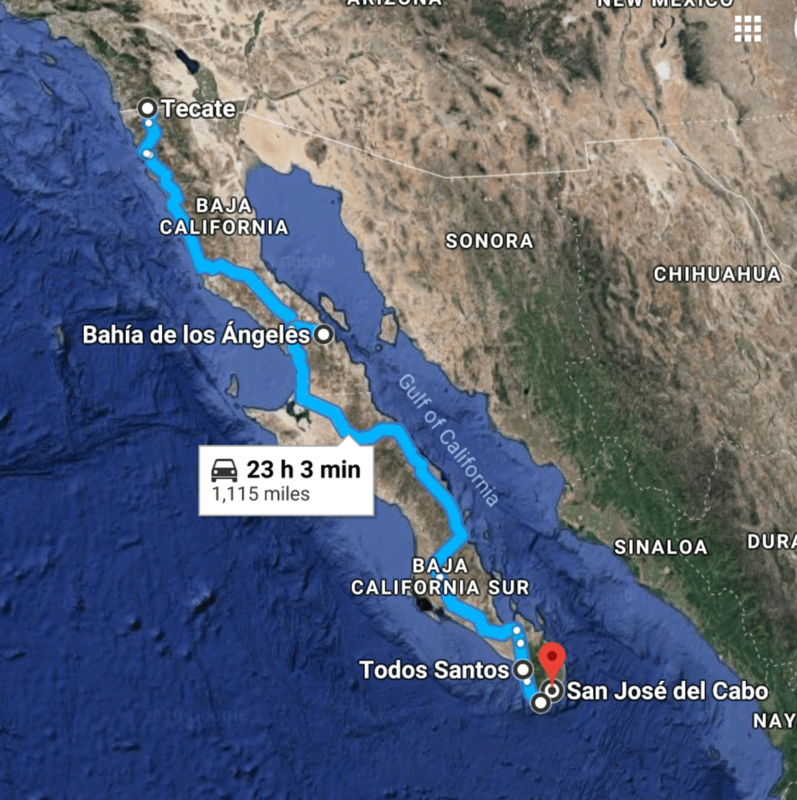 We planned a day car trip to Cabo San Lucas from our campsite in La Paz. 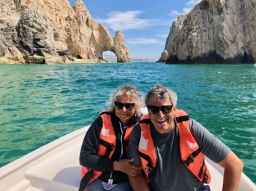 Touristy and congested, we really weren’t that interested in Cabo but the main event was a boat ride to see Lands’ End, the very tip of the Baja Peninsula. 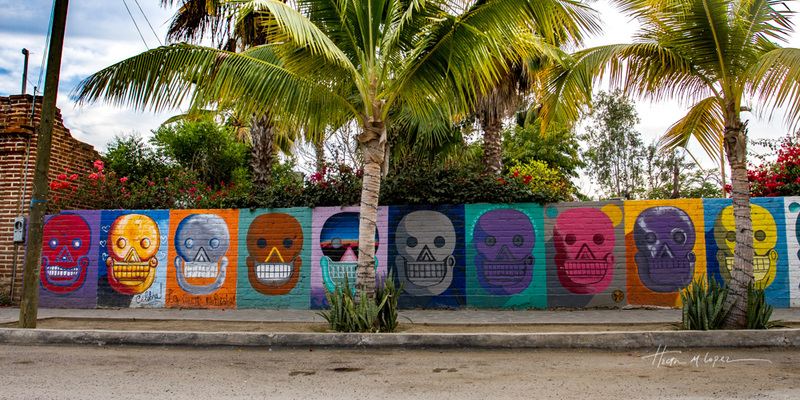 A fitting capstone to our trip down the length of Baja. 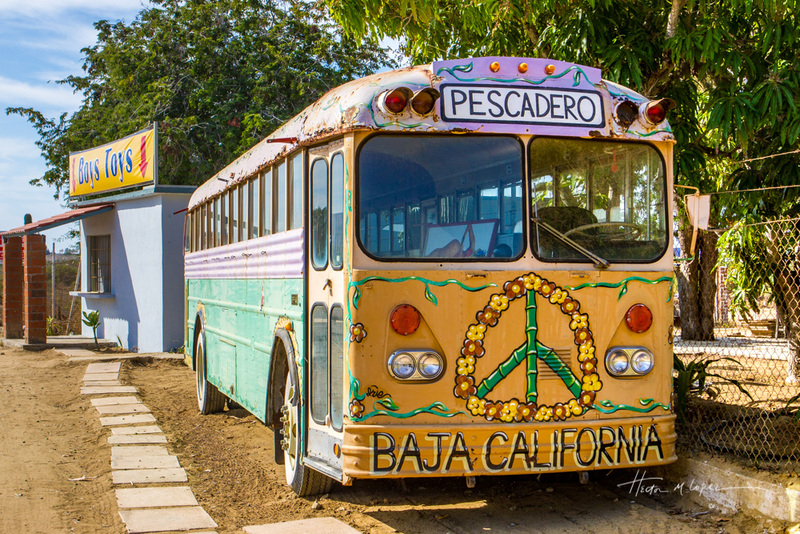 It is a couple of hours from La Paz to Cabo, with little surfer hangouts like El Pescadero. This town has grown much just as many others in this area. It’s really is popular with beginning surfers and is apparently one of the few places in the West Cape that’s good for swimming. 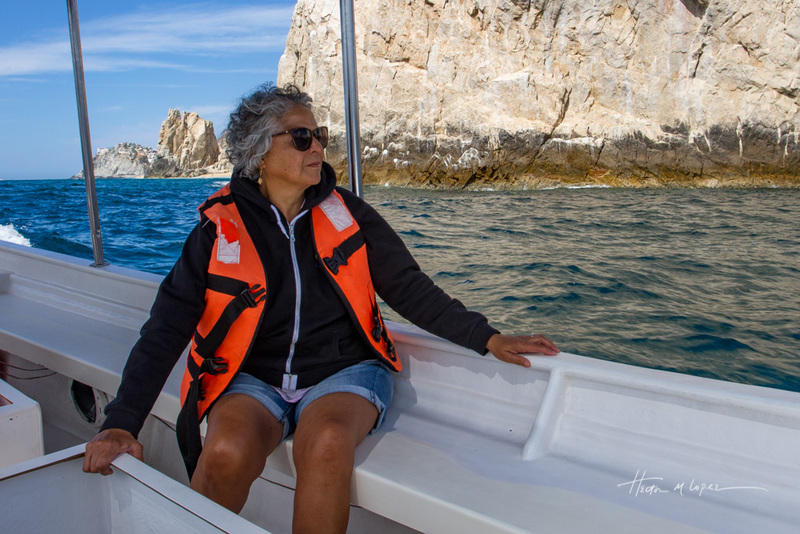 We arrived in Cabo San Lucas to lots of traffic. Spring breakers were in town, though since it was morning, not many were around. We headed to the marina where a guy immediately approached us asking if we wanted a boat ride. After discussing the rate, he said we’d have to wait about 40 minutes and if no one else showed up, we’d have the boat to ourselves. 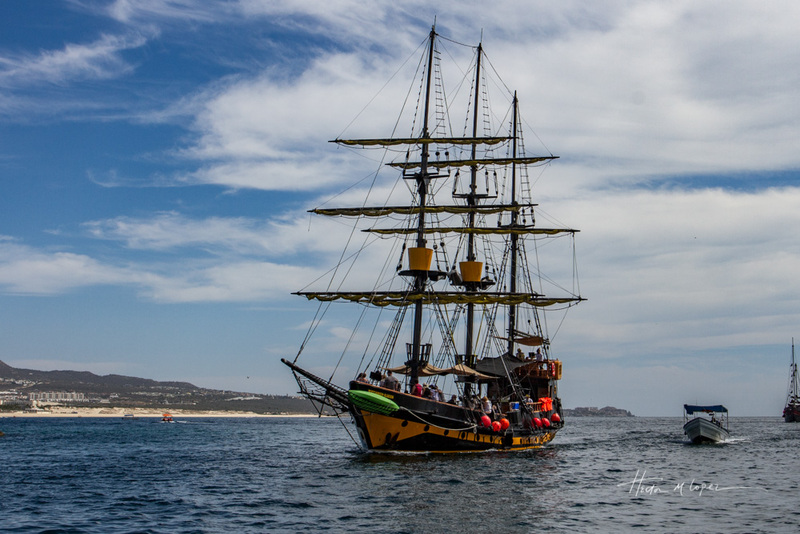 When we thanked him and started walking away, he came after us and said one of the boats was leaving immediately and we could have it to ourselves for the same rate. Off we went. 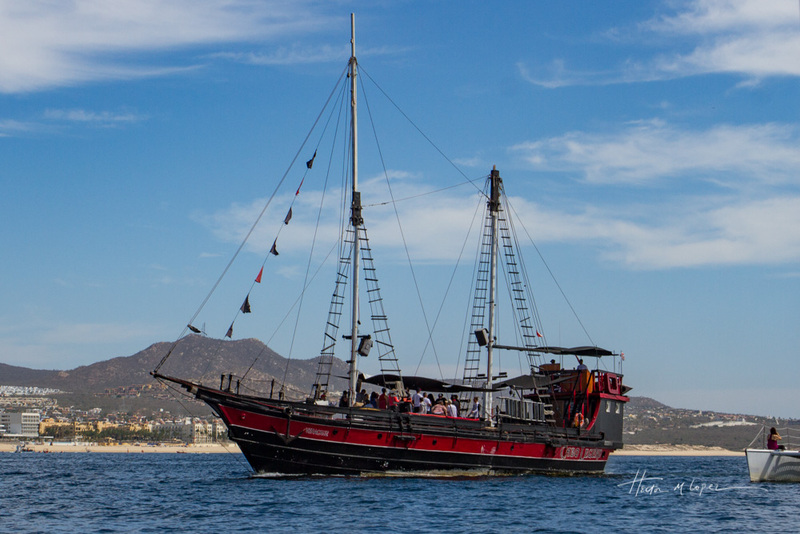 As we headed out a “pirate ship” was headed back in. 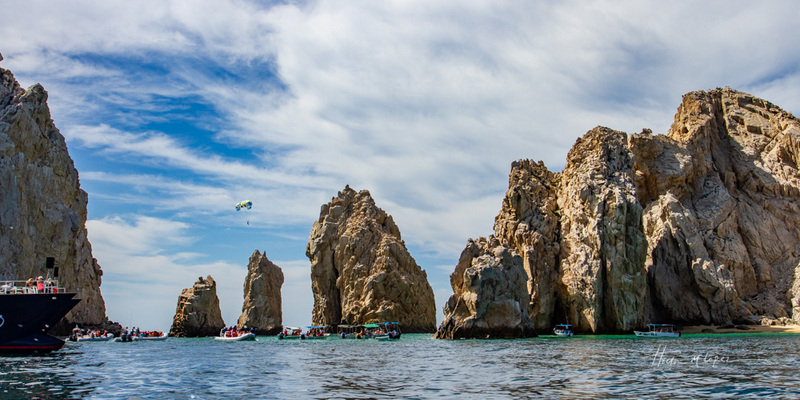 There is lots of boat traffic here as everyone wants to see the spectacular rock formations and of course, Land’s End. 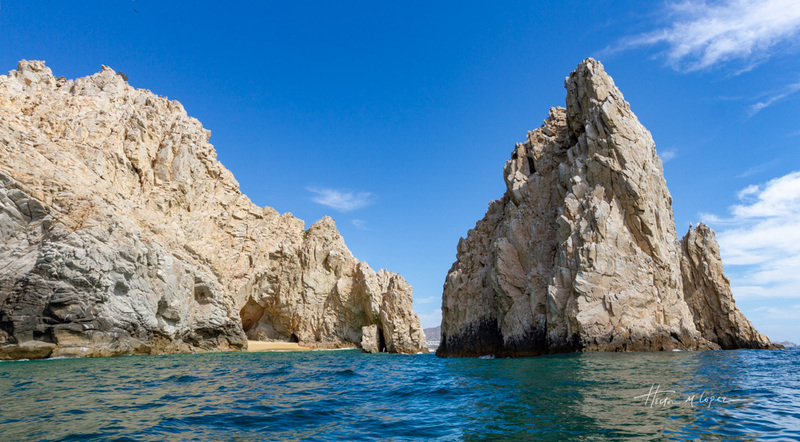 The boat tours go by the pretty but small Lover’s Beach which straddles the Pacific Ocean and the Sea of Cortez. The Pacific side which is too rough for swimming is referred to as Divorce Beach. Divorce Beach is much larger than Lover’s Beach because well, you know. They will drop you off and pick you back up on a later boat ride if you’d like but we chose not to stop. It really is a stunning place, and I couldn’t help but think how sweet it would be to visit in a quieter time if there is one. 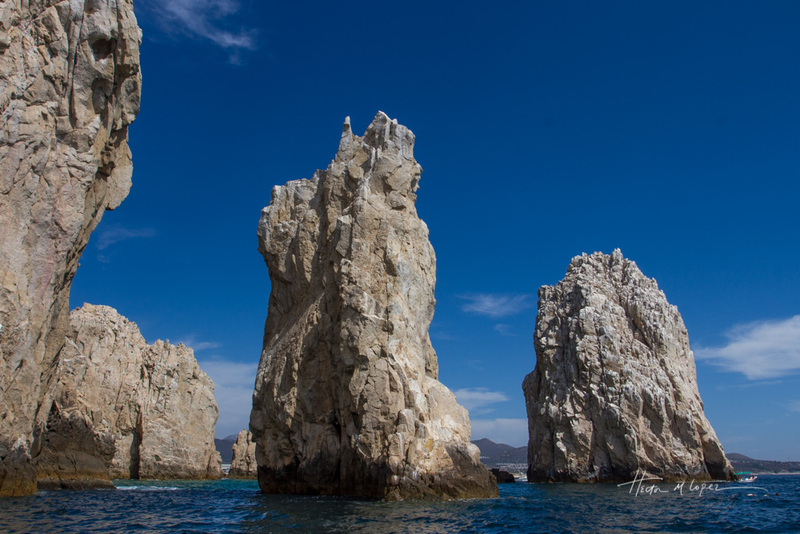 El Arco, the famous arch, also called La Finisterra for Land’s End is beautiful as we expected. The tour takes you out around the point into the Pacific side so you can see it from both sides. 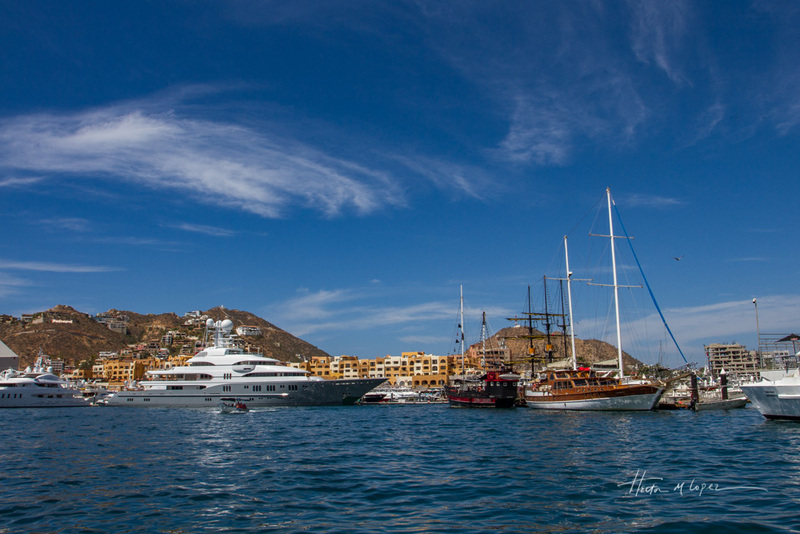 The boats all make space for each other and take turns in front of it so that the guides can take a photo without other boats in the background. A neat bit of choreography as it is really packed out there with boats of all shapes and sizes. What we didn’t expect was to find out that this was not in fact the tip of the Peninsula. 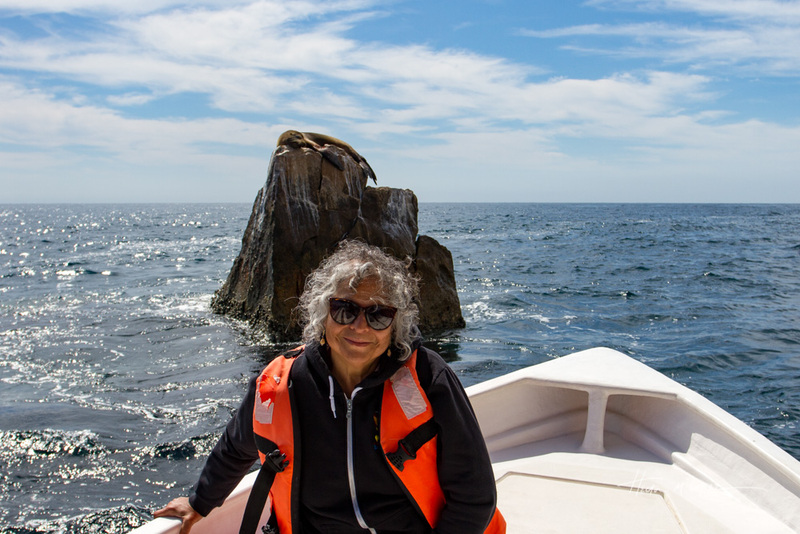 Our captain, Ivan, a charming guy, told us that the real end of Baja is a jagged lonely rock. The rock had a seal sleeping on top who refused to be bothered by all of the boaters. As we headed back, we picked up a few guys from Lover’s Beach. 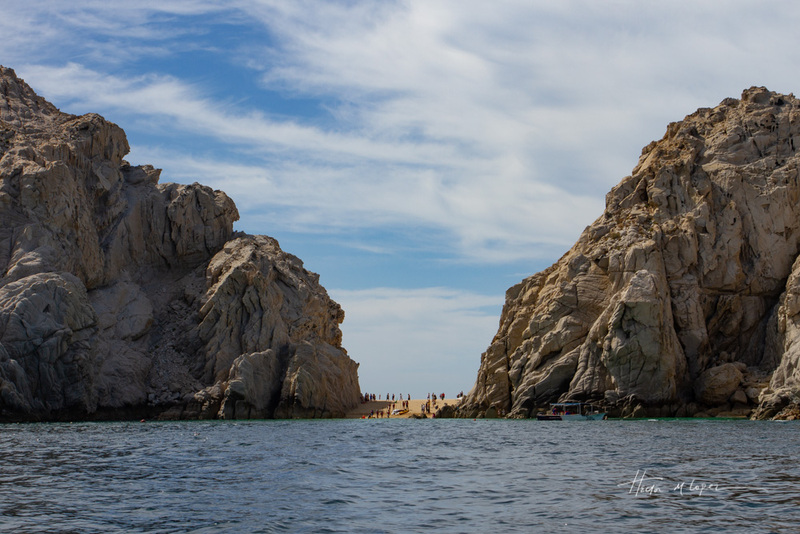 This angle gave us a good view of what’s referred to as “the Corridor”, the area between Cabo San Lucas and the town of San Jose del Cabo. 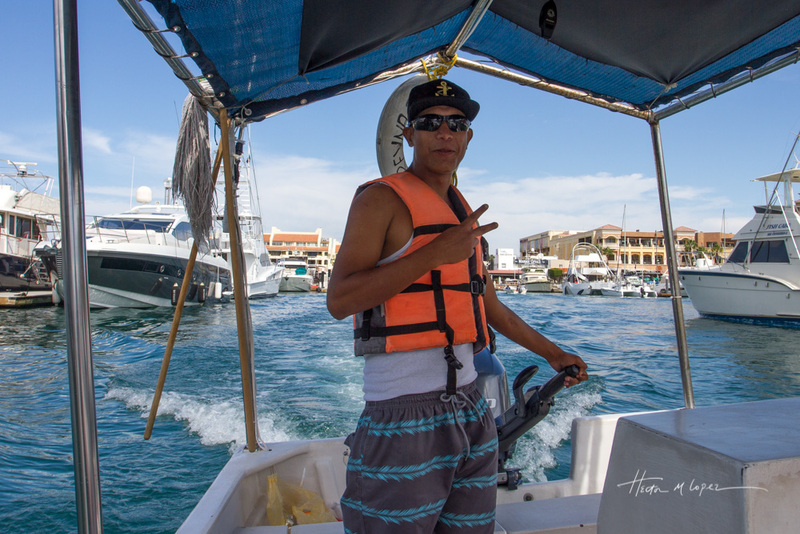 On the Sea of Cortez side, this area has the most beautiful beaches and lots of super expensive resorts. Once back in the marina, we noticed many huge yachts, party boats and other vessels including some pretty unique ones like two story floating disco platforms and such. We took a brief walk along the tourist shops, selling lots of wares. 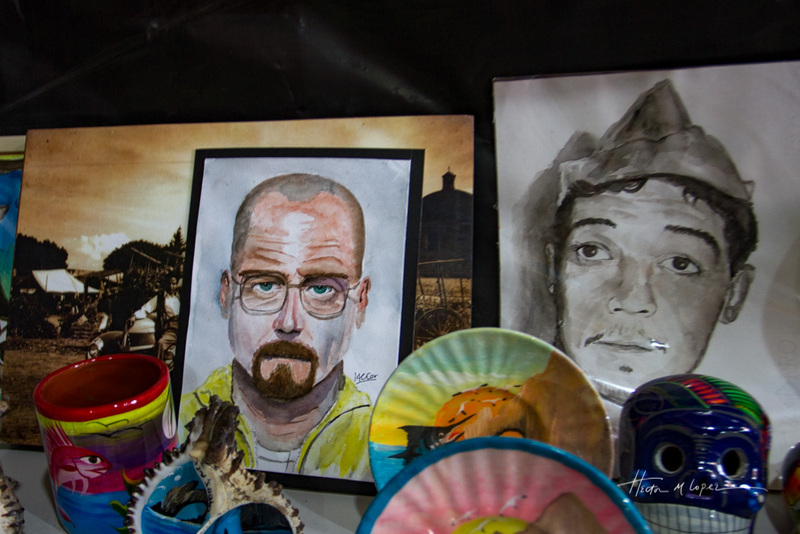 Some funny juxtapositions like a T-shirt with a picture of Heisenberg from “Breaking Bad” alongside a T-shirt with a picture of the famous Mexican actor and comedian Cantinflas. Lots of restaurants and bars with guys asking you to join them. This place was just too crowded for us. Clearly a place set up for massive partying. 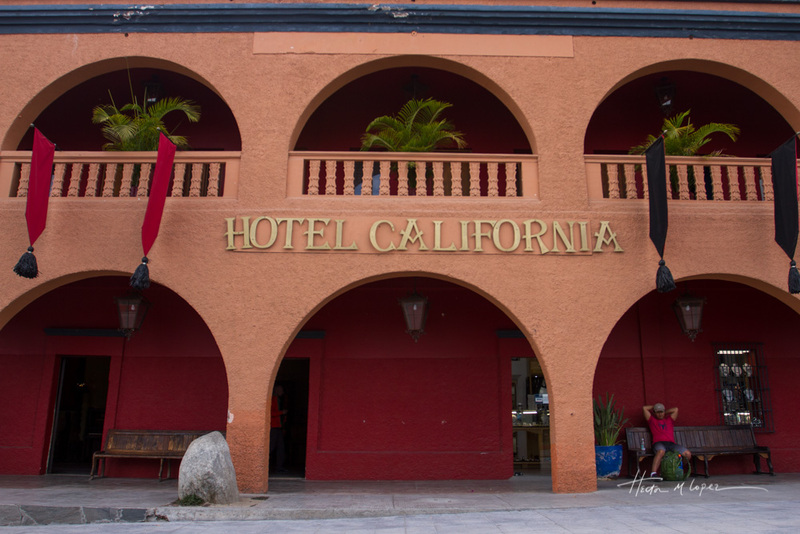 We headed east past the corridor towards San Jose del Cabo for lunch. A quick stop just to see it. 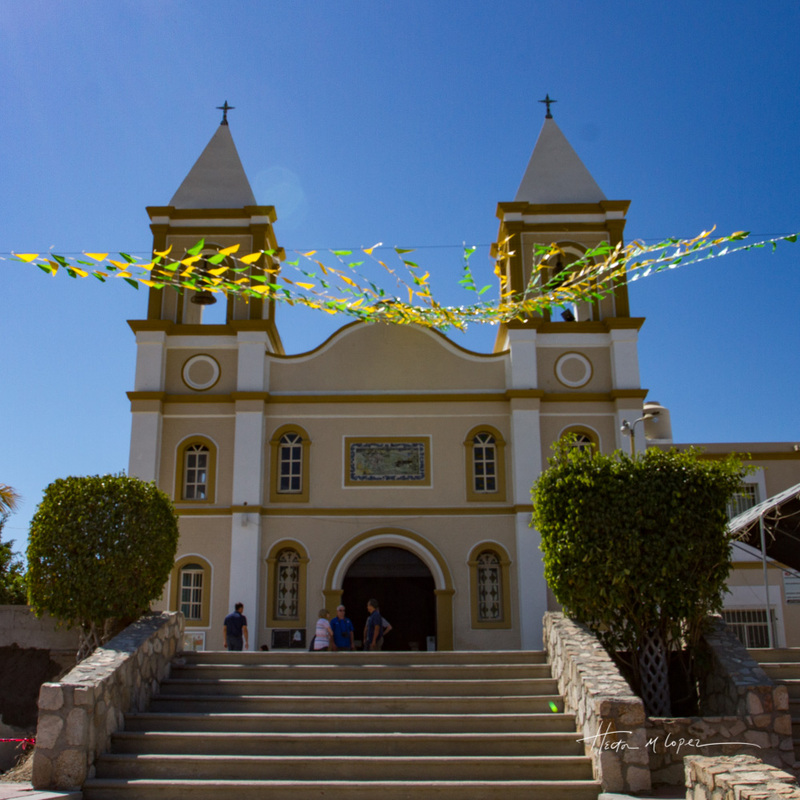 It has a very pretty colonial square with a big church and more shops. It felt more like a real community but was expensive and full of Americans and Canadians. 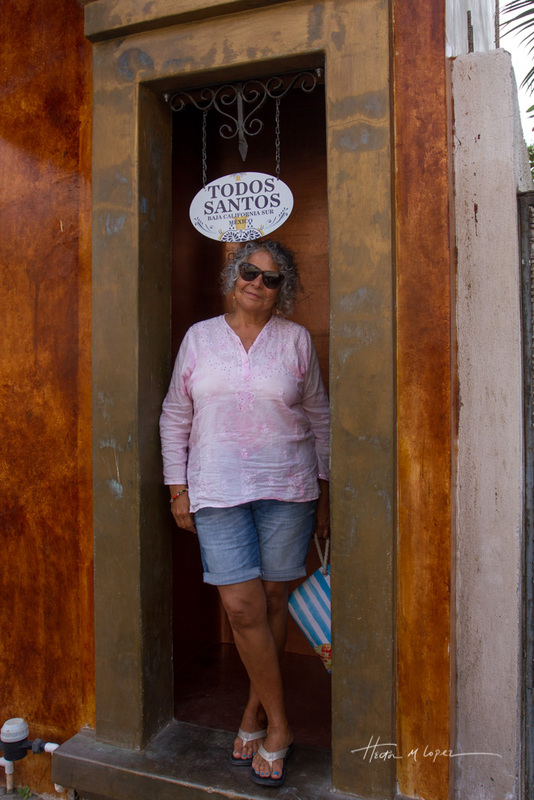 Headed back to La Paz we made a very brief stop in Todos Santos. 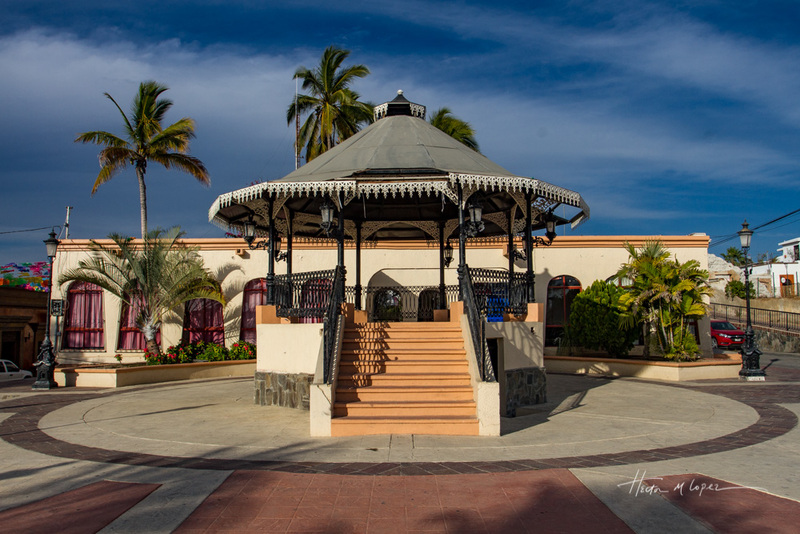 This is another “Pueblo Magico” with a pretty colonial plaza. It’s become an artists’ colony popular with, you guessed it, Americans and Canadians. It was pretty quiet although it was a Saturday and one of the shops had an “end of season” sale indicating that snowbirds were now heading back home. 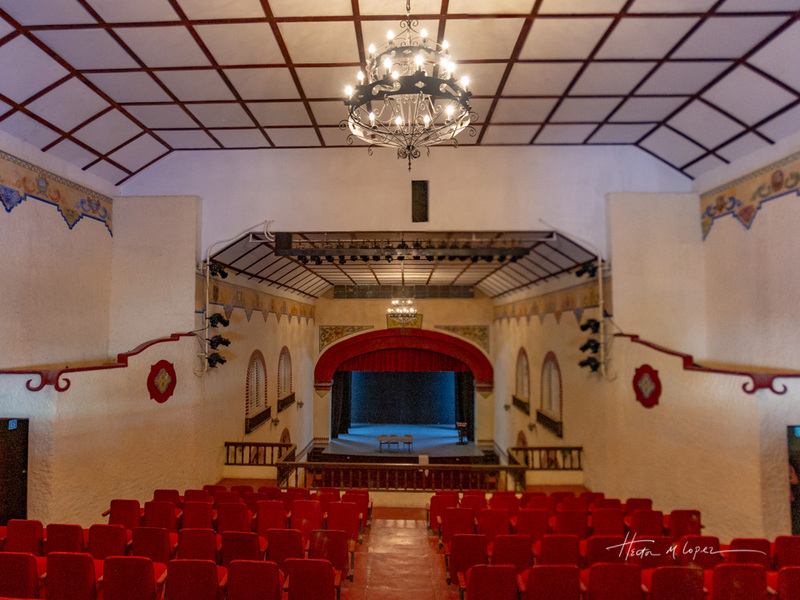 We stopped in at the Teatro Marquez de Leon, a historical structure that represents the cultural heritage of the town and is one of the reasons it was designated a “Pueblo Magico”. One shop we stopped at had gorgeous handmade items including furniture, textiles, sculptures, jewelry and more. 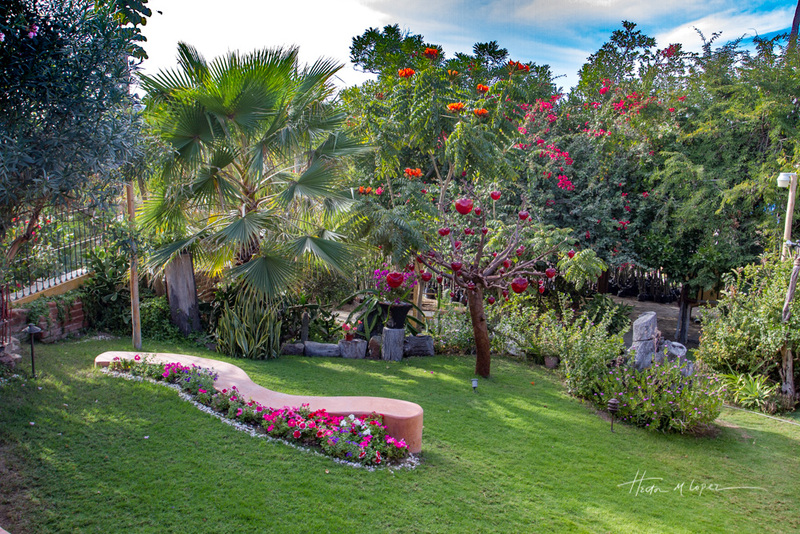 They feature a beautiful garden in the back named the “Jardin del Amor”. 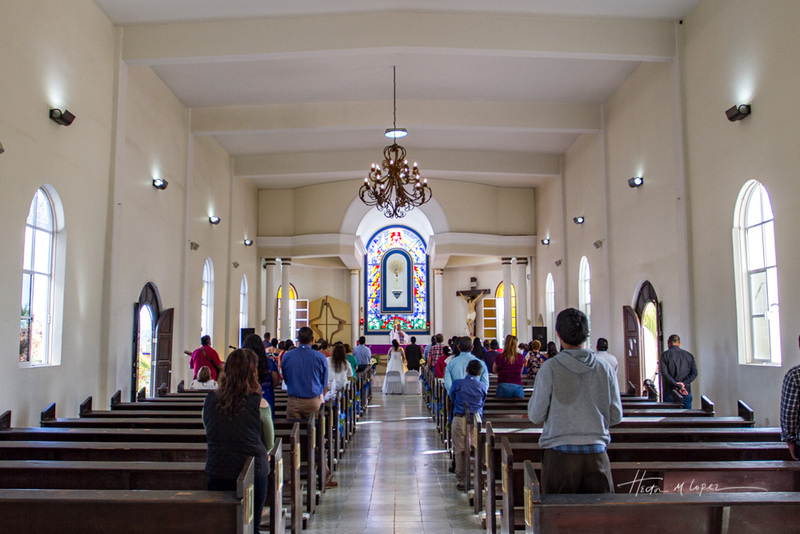 There was a wedding in the church and we peeked in along with some other tourists. A lovely church with beautiful stained glass and lots of light. Our last stop was at the Hotel California (we were looking for a bathroom) and found some of the most creative bathroom gender designations that we’ve seen. It’s quite a lovely hotel with beautiful crystal chandeliers, although it has no connection to nor was it the inspiration for the Eagles song. But they still play various versions of the namesake song amongst a variety of rock songs. 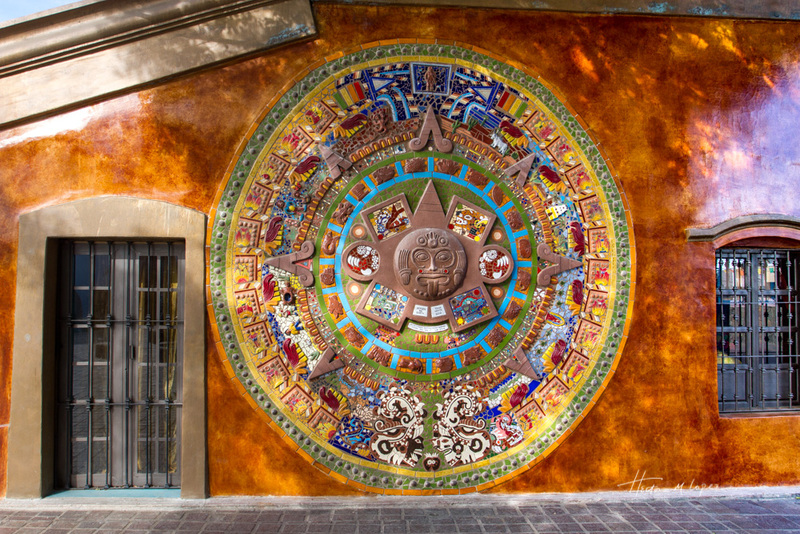 Then it was back to La Paz and more adventures on our way back north. 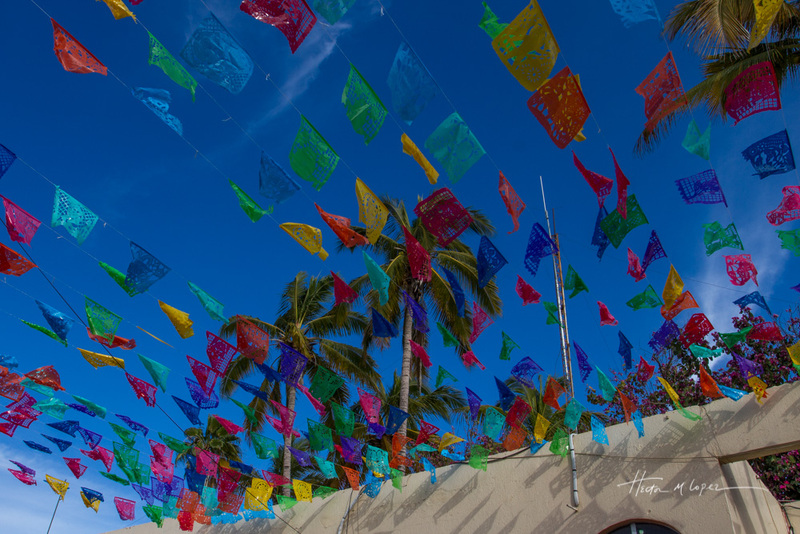 This entry was posted in Mexico and tagged beaches, boats, harbors by islandgirlwalkabout. Bookmark the permalink. 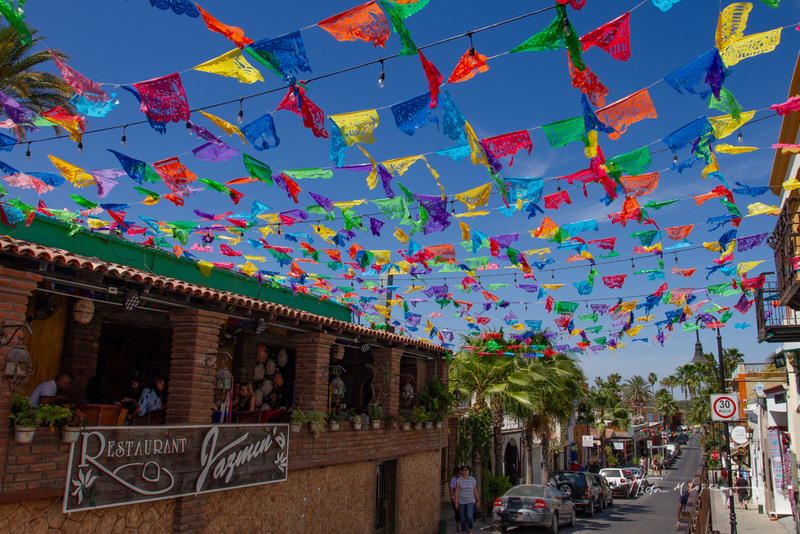 The night we spent in San Juan del Cabo so we could catch our flight back to Los Angeles was my least favorite thing about our trip. Hated it, in fact. 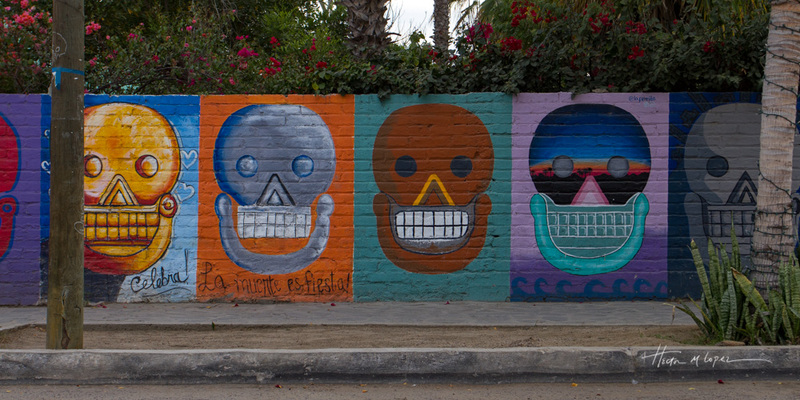 Next time, we either drive – and thank you for all the campground recommendations – or we simply fly into La Paz. Looking forward to your trip back north, and your discoveries along the way. I think we also told you about Campendium.com our best resource for campgrounds. We just crossed the border but still have about four or five posts to publish. SWEET!!! You made it! What an awesome adventure to La Finisterra! 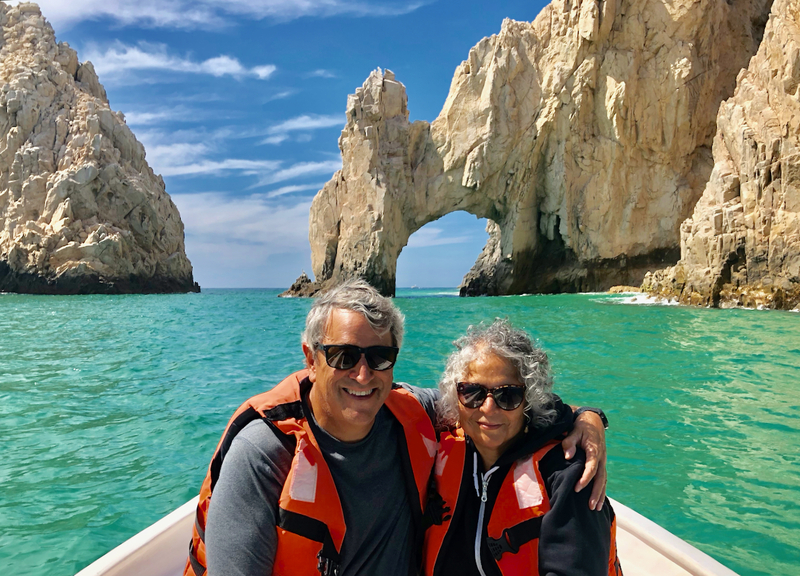 And a private panga tour! WOW you guys did it right! So awesome you shared it with us. A very pretty spot in a crazy town. Glad you’re enjoying the blog. Your trip is inspiring and interesting. You make us think that we could do that. but of course you can do it! slow and easy is the key. I’ve seen so many photos of that great arch. 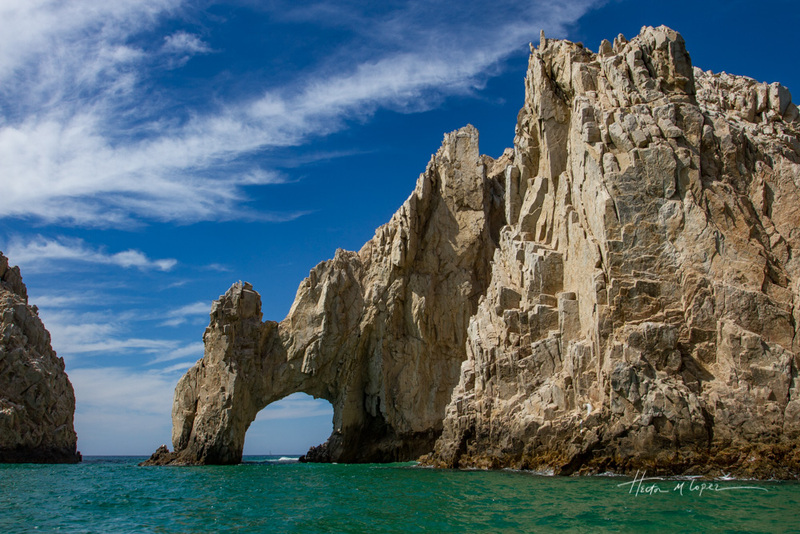 You, Hector, the turquoise water, and the rock arch make a special photo. What a fun trip to make it to the tip! 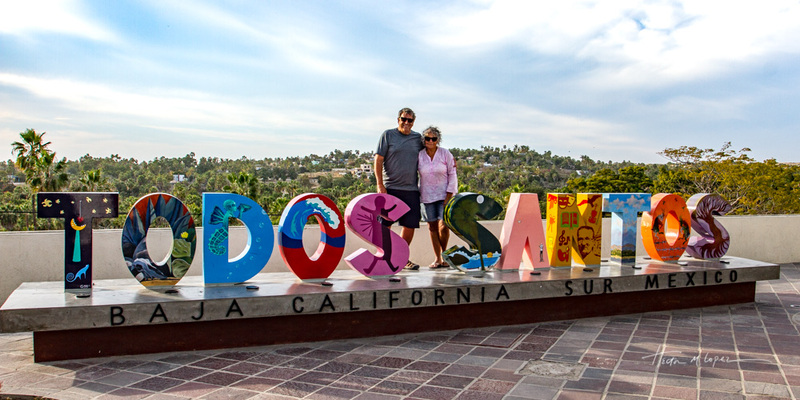 How exciting to make it all the way to the tip of Baja! Thanks for all the great suggestions and beautiful photos!